For the first time, European’s fast-growing DIY festival is coming to the UK, taking place across various venues in Bristol. It’s already a super fun lineup, with some of the best up and coming bands in the industry at the moment, and there’s plenty more to be announced in the coming weeks and months in the lead up to the festival! 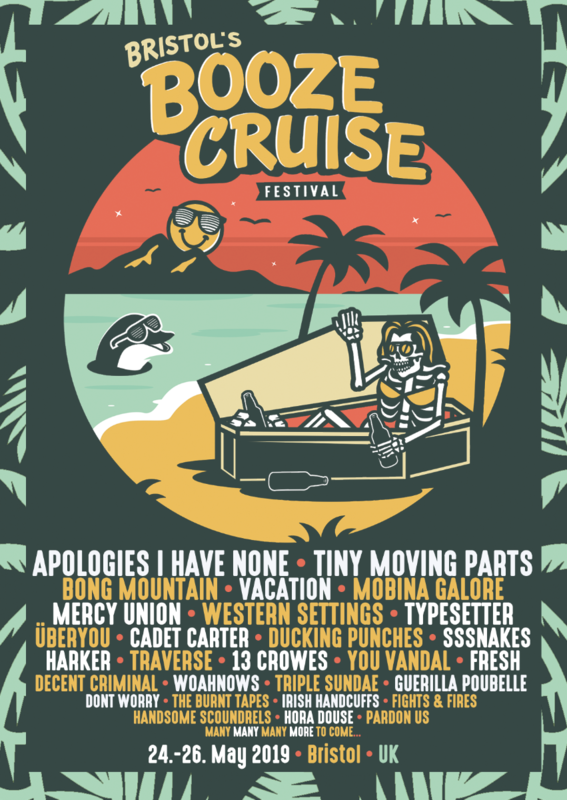 “We like Booze Cruise to feel like a boozy gathering of friends rather than a music festival. We love small, sweaty, wild shows, so seeing bands playing in clubs with a max capacity of 350 —all day long for 3 days straight—sounds like paradise to me. That, and you don’t need to sleep in a tent! Tickets are on sale now and can be purchased here either as individual day tickets or weekend passes.